The countdown is on for Lilly for Target! I mentioned here that my birthday is going to be Lilly-themed and we are waking up (or maybe we will still be AWAKE…) to be there when the doors open! It’s time to start seriously thinking what we want to keep our eyes open for that all too eventful morning. I’ve started my list…but who knows what will happen on April 19th! I love that you can see the whole line before its out and the prices! You can even scroll through a party of the clothes (below) – notice Chris Noth? Will he be there on Sunday morning?! I’d love to hear what’s on your list! 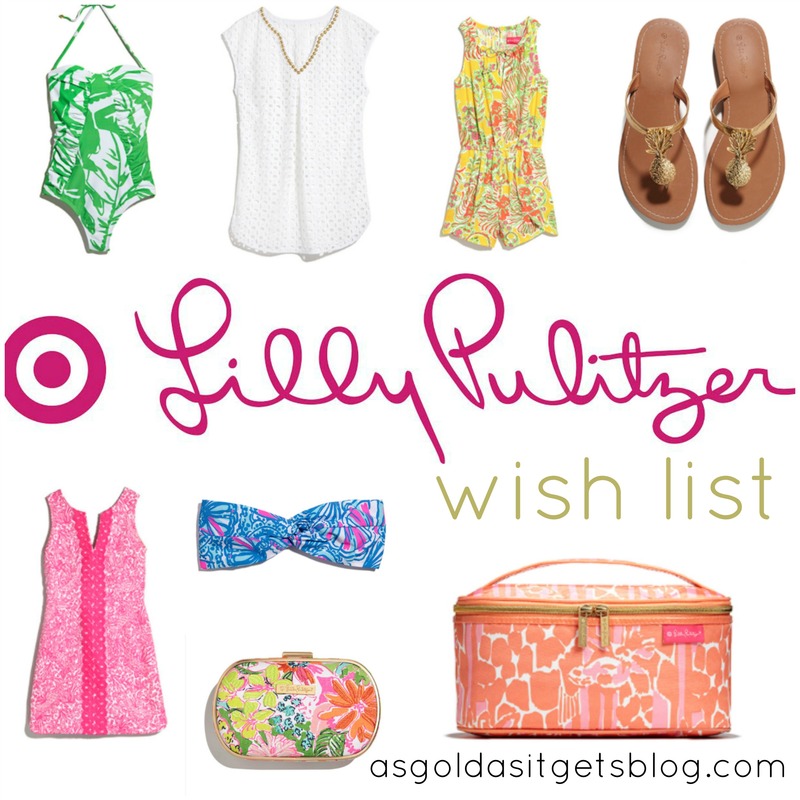 Categories: Good Times | Tags: lilly for target, lilly pulitzer, wish list | Permalink.